The vast majority of Tanzanians are still living very close to their traditional lifestyles. Most of the people are subsistence farmers. The Maasai people, favoured by photographers for their strikingly colorful décor, live a pastoral existence following their herds of cattle to better grazing areas, still adhering to the traditions and ceremonies of their ancestors. Their "villages" are located throughout northern Tanzania. Other small tribes of hunter-gatherers, living according to their ancient customs and traditions can also be found in this area. 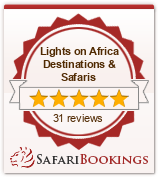 At Lights on Africa Destinations & Safaris we consider the cultural component of any safari to be subtle yet essential. All of our guides are Tanzanian born. They are an excellent resource to help you gain greater insight into the local culture. We don't promote specially staged dances and tourist-oriented presentations. Instead, on most of our cultural trips, we begin with a visit to a traditional village where you are welcomed as friends of Lights on Africa Destinations & Safaris into their lives and invited to get to know them as they get to know you. As we drive between parks, we pass many villages and Masai Bomas giving you further glimpses into the lives of the Tanzanian people. We also offer a special trip in which our guests travel well off the beaten path to spend time among the Wa Hadzabe people and observe their ancient hunter-gatherer ways.. YES! Lights on Africa Destinations & Safaris has a personal understanding and deep commitment to meeting the special needs of families. We have designed family safari programmes to allow you and your children to experience the wonders of Africa together. You'll have a chance to deepen your understanding of cultural diversity, discover the many miracles of nature, and at the same time play, laugh, and enjoy the pleasure of one another's company. Our trips are well suited for children..
What's the weather like in Tanzania? Located at an altitude of 5,000 to 7,600 feet, northern Tanzania's dry sunny climate is nothing like the steamy African jungle of Tarzan movies. The weather is spring-like year round, with daytime temperatures in the 70s and 80s, evenings in the 60s. From June until August, temperatures are slightly cooler, ranging from the 50s to the mid-70s. The coastal and lowland areas tend to be more tropical in temperature..
Today's modern safari is a far cry from the rugged safaris of the past. After a stimulating day of game viewing, you can relax at comfortable, attractive lodges, with amenities like swimming pools, full service restaurants and en-suite bathrooms. Located right in the scenic settings of the wildlife reserves, the lodges are close to nature… but not too close for comfort. Tanzania is one of Africa's most stable countries, where you'll receive a warm welcome from its gracious people. Every care is taken to ensure your health and safety on safari..